I cannot believe it's already mid May! The last day of school for international schools is fast approaching and many of you are preparing to go visit home for the summer. 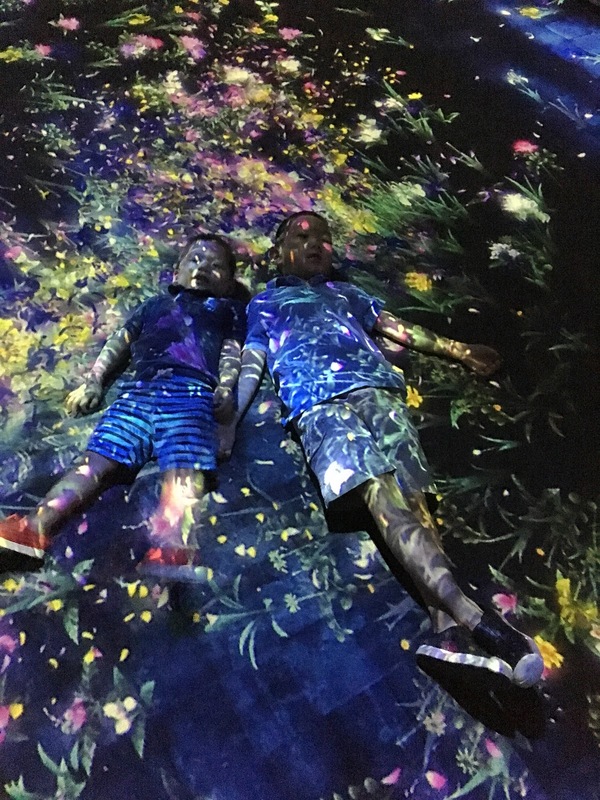 But before heading out this summer, consider visiting teamLab World in Jamsil in May since there are lots of special events going on, 20% off anytime for the whole month of May being one of them. 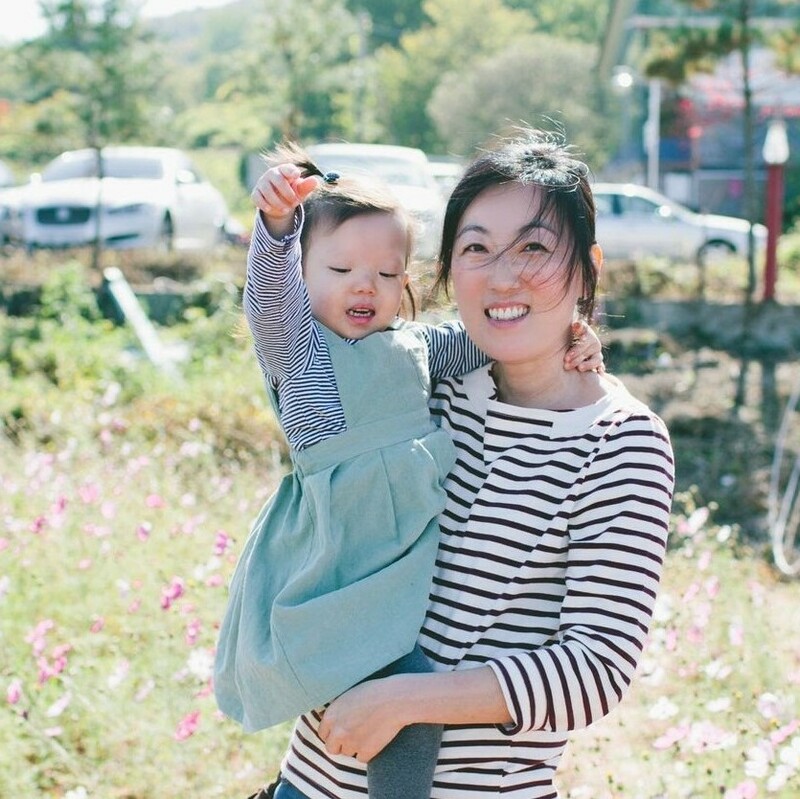 My in-laws are visiting from the States just in time for Parents' Day in Korea. 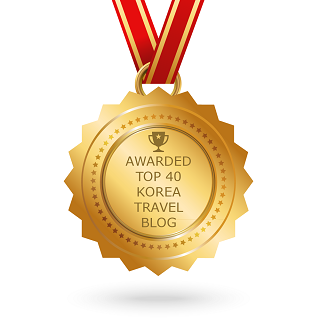 Unfortunately, the air quality during that time in Seoul was one of the worst days. 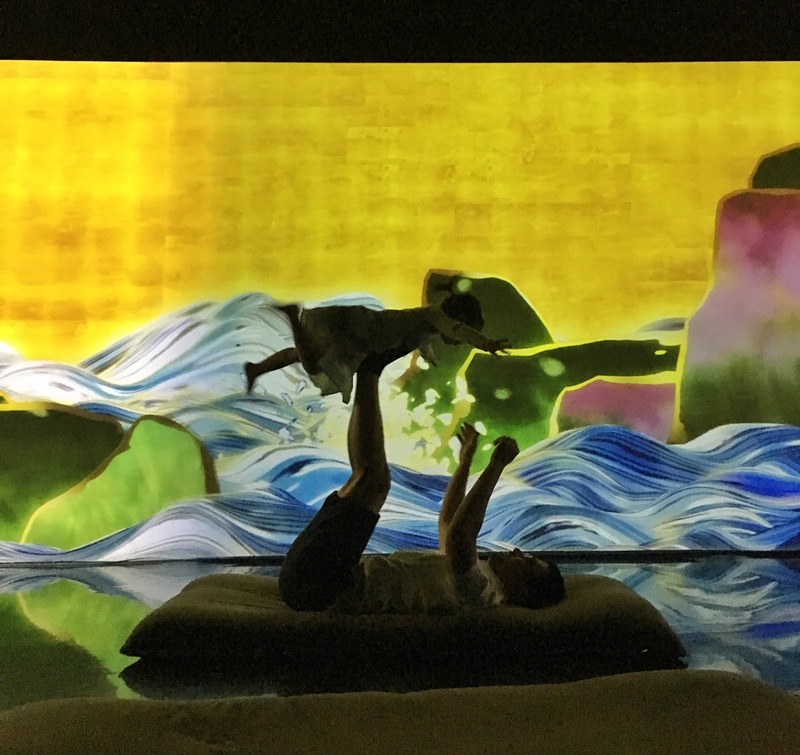 But instead of staying home, we decided to go visit teamLab World with my in-laws since we had such a great time the first time! You can read my first post here. 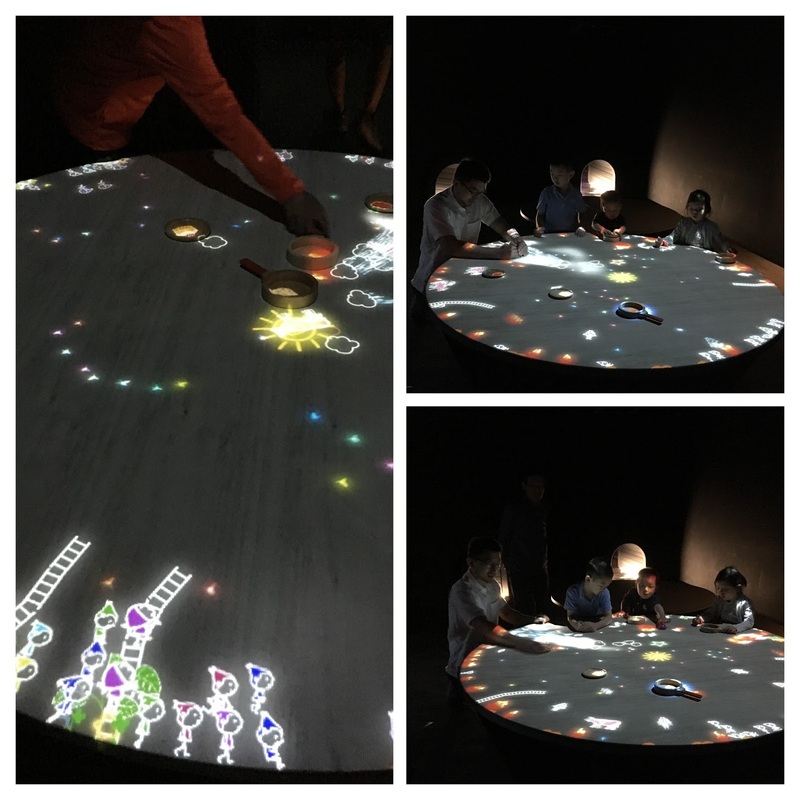 👈 On our first visit, we also realized that it wasn't just for kids. There are actually more young couples that come for dates and to take pictures. 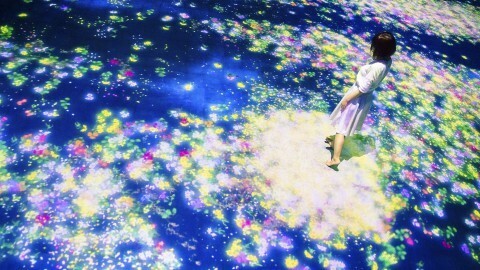 I was informed that teamLab World is a collaboration among Japanese digital artists to create an interactive digital art exhibition for people to experience imaginative play. So, it could seem like all the activities are for kids, but in actuality they are fun for all ages! My in-laws were certainly amazed by all the graphics, their movement, and technology. Here are some pictures from our day and special events information for May. I didn't write about this section on my first post because I didn't understand it frankly. But it was one of our favorites this time around. Maybe because it was new to us?!?! But on this table there are these elves that you can feed by making food and sharing it with them, you can help them grow their own food by providing sun and rain, protect them from cows because they are scared of them, you can even trap them by putting borders around them. I thought it was so creative and fun to help these elves survive. 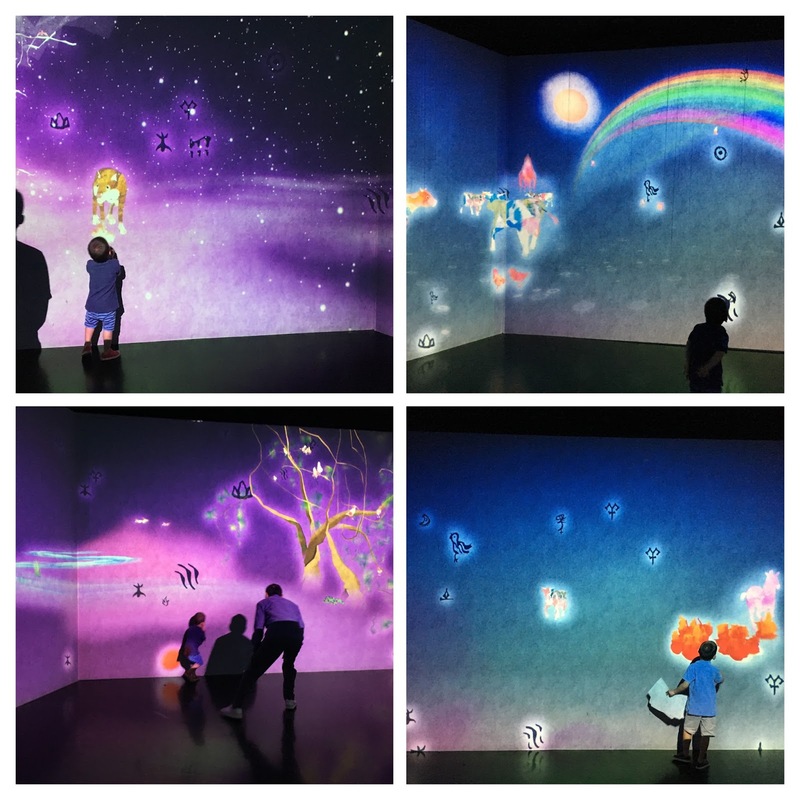 Here are some special events from teamLab World in May! -The whole month of May!! 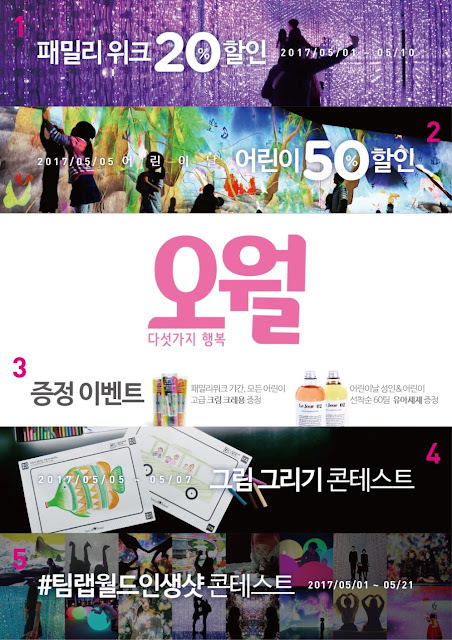 -Create unique drawings in Sketch Aquarium, Graffiti Nature, and Sketch Town and post them on our Facebook and Instagram with tag #팀랩월드 and drop your drawings in the entry box.